While others continue to argue the merits of New York City vs San Francisco cooking1, it can’t be debated that NYC clearly excels at high-end Japanese. Ducking into Masa, Yasuda, or Kuruma generally makes a NYC trip worthwhile, satiating needs that can’t be met in the Bay Area. 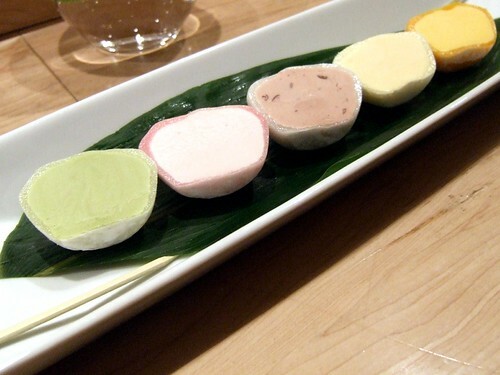 Restaurants like Kajitsu, kyoya, Soto, and Ushiwakamaru intrigued me, with recommendations from very qualified sources. 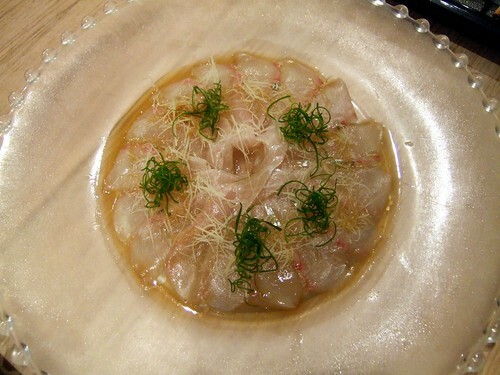 Then, out of nowhere, Michelin bestowed two stars last October on both Soto and Kajitsu, and ratcheted up the urgency. Vegetarian kaiseki or composed uni plates? Kajitsu was closed, Soto was open – an easy choice this time. “Known for its uni”, a review for Soto is never written without this line, 2 some PR agent’s dream fulfilled. In a city of multiple starred Japanese restaurants, Soto owns the sea urchin position – “if you want uni, go to Soto.” San Francisco, Los Angeles – someone should be paying attention. And it is surprising that, for as sophisticated as New York sees itself, a 2 star Michelin restaurant specializing in uni, one of the sea’s greatest delicacies, does not generate more attention – a blessing and a curse. Sea urchin, Michelin stars, and an under the radar reputation, what kind of puzzle sat inside Soto? No omakase was offered on this evening so the menu constructed was a gluttony of guilty pleasures – uni, lobster, caviar, uni, and, oh, they say uni is good here, so add a few more courses of sea urchin to that long list. It was a very cold January evening, days after the infamous blizzard, and this, presumably, led the kitchen to start the meal with Miso Soup. 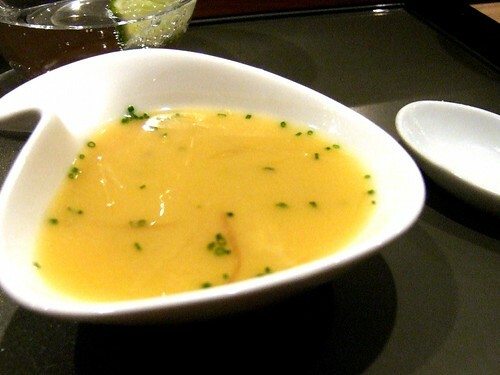 This soup followed the aforementioned template of luxury ingredients – a broth made from lobster dashi and uni bouillon, filled with lobster meat, with fresh-sliced ginger shoots. It reads bombastic, and the guilty pleasure centers hope it is so, but this soup was quite restrained with mere essences of sweet lobster and the briny sea, despite its brilliant yellow color. This was a pleasing introduction to the restaurant. Uni tempura with uni powder, clearly agape ordering, missing only an uni sauce, lost the identify of the urchin – a slight firming and crumble – instead of a creamy burst hiding inside the impeccable crust. The expected textural contrast did not materialize and the flavor was more muted than expected. Neither restaurant nor meal can be judged by one dish but there was concern – would later composed uni dishes fall as flat as this? 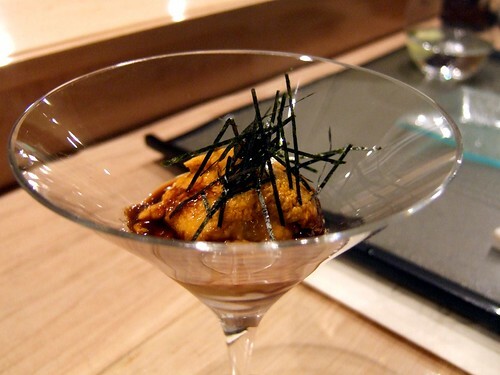 As if on cue, to restore expectations, an Uni Cocktail of Japanese Sea Urchin, Soy Reduction, & Fresh Wasabi came out. 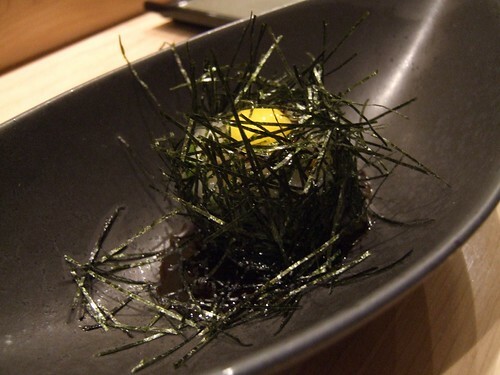 (Seemingly) simple and refreshing, the intensity of the soy reduction paired well with the stronger Japanese urchin. It is one of the dishes you think you’ve had a thousand times but there are small inflections and tastes, primarily the rich soy reduction, that suggest the tempura was a fluke and this chef still might be the uni whisperer. 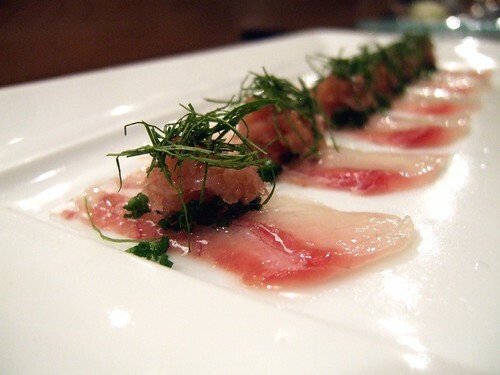 Small sashimi plates from the bar, Wild Red Snapper Carpaccio and Fluke Suzukuri, were composed and balanced nicely, aged vinegar and sea salt / lime respectively, but one was left with a general feeling of uneventfulness. 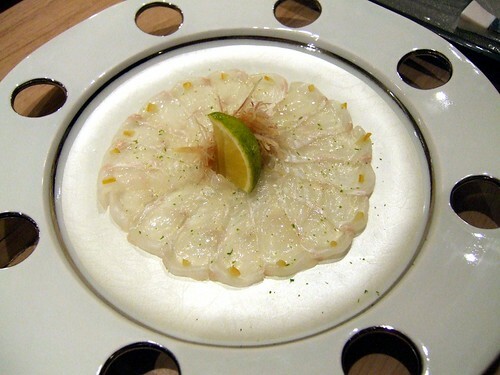 Soto’s fish is very solid but it is not sourced from the upper echelons. While not every fish can be, my preference is to just let the fish live. Being a glutton, I could not pass up nigiri at the end of the meal – “just to see.” With rice on the gummier side, the symbiosis between rice and fish, the true alchemy of sushi, was missing. This was puzzling considering the textural mastery of some later dishes – but sushi has many styles and preferences and perhaps this is the way Chef Sotohiro Kosugi prefers it. Hit and miss, sputtering to a degree, the meal was falling inline with my expectations to this point – if nothing else, I’m cynical. Uni Ika Sugomori Zukuri, uni wrapped around thinly sliced squid and seaweed, playfully resembling its hidden treasure, was a bold statement – this is why Soto and uni are synonymous. A quail egg on top breaks as you delve into the artful construction, mixing with the slightly sticky raw squid and the creamy uni, it’s a masterpiece of textures and sensations. 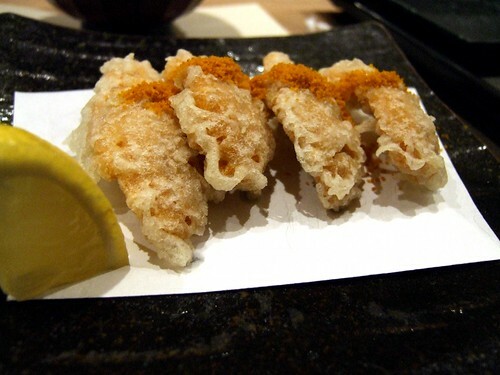 With each bite, the seaweed’s crunch quickly shatters, the squid turning more muculent, and the uni enveloped the mouth with its creamy brininess. A shiso leaf sat inside, a foil for the richness, a guiding light to the end. Spectacular beyond words, every miss before, any miss after, none of it mattered, the evening’s mission was fulfilled. 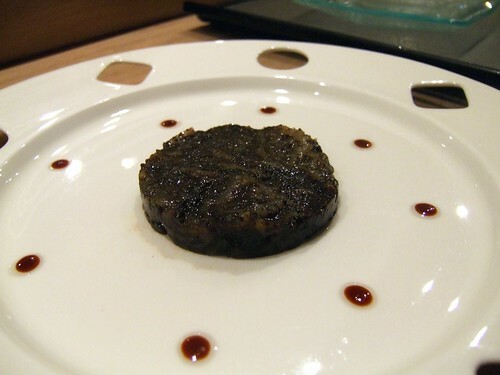 The Ika Truffle – thinly sliced (ika) squid and shiso leaf, wasabhi tobiko, marinated in black winter truffle puree & madeira – was very pungent, overly strong without balance, umami on overkill. The squid was merely there for texture, densely formed into this puck. This was my least favorite dish of the evening, although At the Sign of the Pink Pig completely disagrees with me. But I agree with him – it is worth trying – for its intensity is unmatched in any dish of recent memory. 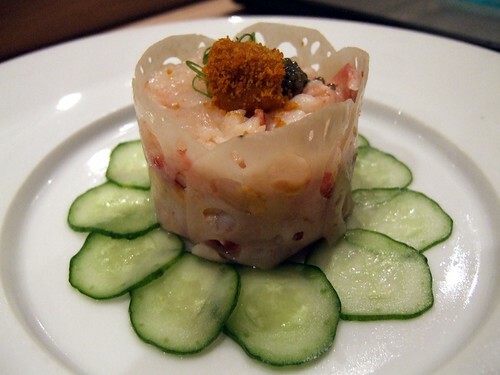 Steamed lobster with uni mousse – layers of steamed Maine lobster and uni mouse in a lotus wrap, garnished with smoked uni and caviar – proved again Chef Kosugi has a tremendous mastery of texture. The lobster, barely cooked, still had some crunch; the lotus wrap, thinly sliced, had a degree more crunch; each capsule of caviar popped; and the sensualness of the uni mousse complemented the rest. The differing sweetness of each, lobster vs lotus vs urchin, was also surprising, the interplay changing with each bite and finish, the smoke lingering just a touch. Despite every expectation of extravagance, this dish reached even higher, to the heights of the Uni Ika Sugomori Zukuri – two masterpiece dishes – in one otherwise solid meal. It seems like the menu hardly changes 3 – and that’s a great thing in my opinion. With every chef caught up in seasonal, local, sustainable; too many dishes are made in the moment, with the market’s ingredients, without the practice & refinement necessary to create masterpieces. Some genius strikes immediately, with intuit; but most great ideas benefit from continued refinement. The Uni Ika Sugomori Zukuri and Steamed Lobster with Uni Mousse 4 are clearly the work of many years of refinement, achieving many dimensions of balance. For those two dishes alone, upper three-star territory, a visit to Soto is highly recommended. The virtues of Soto’s uni have been well noted – to the point that one wonders why he doesn’t craft a few uni tasting menus per night – oh, the possibilities. Did I mention Georges at the Cove in La Jolla two weeks ago where Chef Trey Foshee delivered a quintessential San Diego meal, ending with extraordinary “dry-aged carrots”, roasted with the juices of dry-aged steak. You can follow some of these adventures on Twitter while waiting for the eventual reviews. 3 – Doc Sconz’s review from 2009 has many of the same dishes. 4 – Do not share these two dishes – they are that good – everyone should have their own.